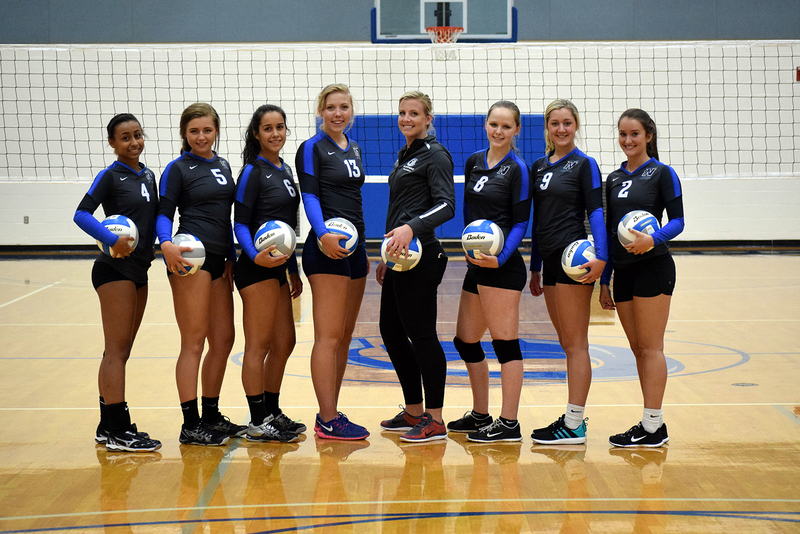 The SPSCC volleyball team includes (from left) Stephanie Washington, Kiley Schwartz, Lydia Soto, Maddy Reeves, Coach Melanie Miller, Amy Miles, Natalie Patton, Ellie King. Photo courtesy: SPSCC. Cheer on the Clippers at this year’s inaugural season of women’s volleyball. Keep in touch with all the latest from SPSCC Athletics on their Facebook Page or on the Clipper Volleyball page. All home games are held at the SPSCC gym. 9/8 Umpqua River Hawks – 2 p.m.
9/8 Clark Penguins – 7 p.m.
9/14 Linn Benton Roadrunners – 11 a.m.
9/23 Green River Gators – 7 p.m.
9/30 Centralia Blazers – 7 p.m.
10/7 Highline Thunderbirds – 7 p.m.
10/19 Grays Harbor Chokers – 7 p.m.
10/26 Pierce Raiders – 7 p.m.
11/2 Tacoma Titans – 7 p.m.
11/9 Lower Columbia Red Devils – 7 p.m.